Amphora Aromatics Reed Diffuser Kit is the perfect home accessory to fragrance your room with pure essential oils leaving the air with an aroma that boosts your mood and morale. With 15 different fragrances available there’s sure to be something for everyone and suit your individual tastes. We received Meditation to try out which contains an uplifting and balancing blend of Bergamot, Ylang Ylang and Clary Sage. The natural reeds draw the special blends upwards and then disperse the gorgeous scent into the air and throughout your room. The kit comes presented in a pretty box that would make an ideal gift for friends and family. Well I have to say the combination of fragrances comes across like a bunch of lilies and I did have one visitor ask me if I had some lilies somewhere and they were looking around my room for them. I found it very pleasant and warming, giving the room a lift as you entered. I find it best to turn the reeds upside down every few days to keep the fragrance fresh and flowing. It’s nice to have a scent in the room as you walk in and I found my front room the best place for this one. With a great choice of fragrances available – why not try one out for yourself? With Christmas approaching and lots of social events on the way, it’s a good time to think about your teeth. 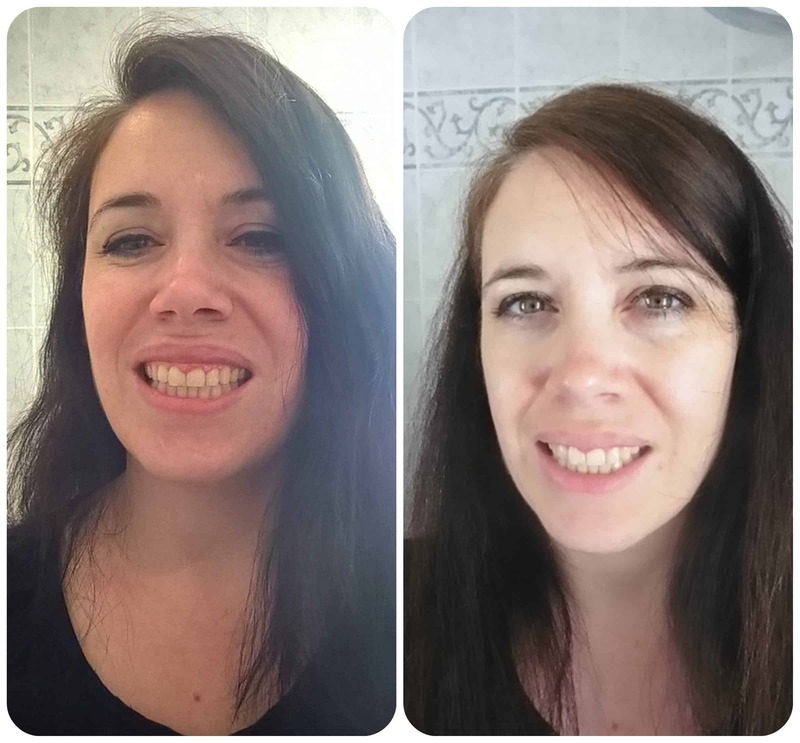 Looking white and sparkly helps you feel more confident and gives you a great smile so I’ve been checking out Instant Whites, a 7 day at home whitening system that is simple and quick to use. It can boost your teeth by upto 9 shades but this obviously depends on the current state of your teeth before you start. The kit contains 7 liquid filled peroxide free swabs, contained in a plastic case. To use them you simply remove a swab and push the stick together to release the liquid into the top half which then oozes out of the swab. Then rub gently across the teeth that you wish to whiten for between 10-20 seconds per tooth. This is really easy to do and there is no bitter taste or any unpleasantness. Well I have fairly light teeth anyway, although yellower than I would personally like so I was interested to see if this would make a difference as it was such a gentle treatment. When you rub the wand across your teeth there is a very slight abrasive feeling to it, which I guess scrubs away any stain and marks. I would definitely say my teeth look fresher, brighter and more healthy. Maybe a shade or two whiter as well. It’s definitely given them a boost ahead of the festive season which always makes it easier to give a confidence smile as I’m sure there’ll be lots of photos taken in the upcoming weeks! 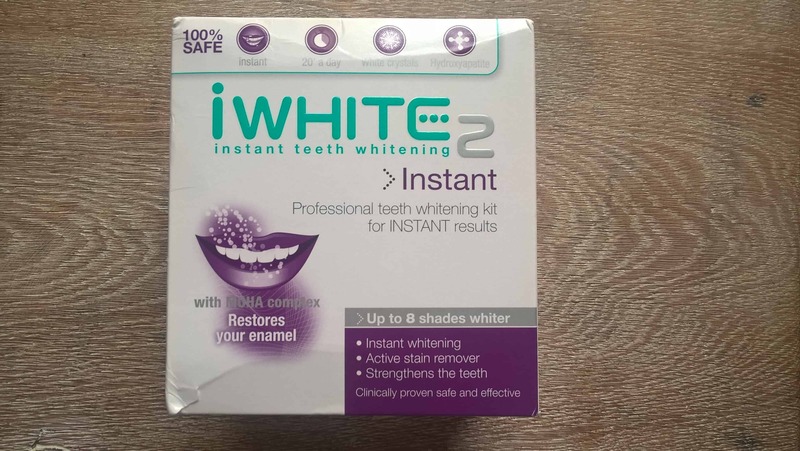 Available from various retailers the Instant Whites – 7 Day Whitening System costs £30 and is a great way to give your teeth a brighter, sparkling shine! 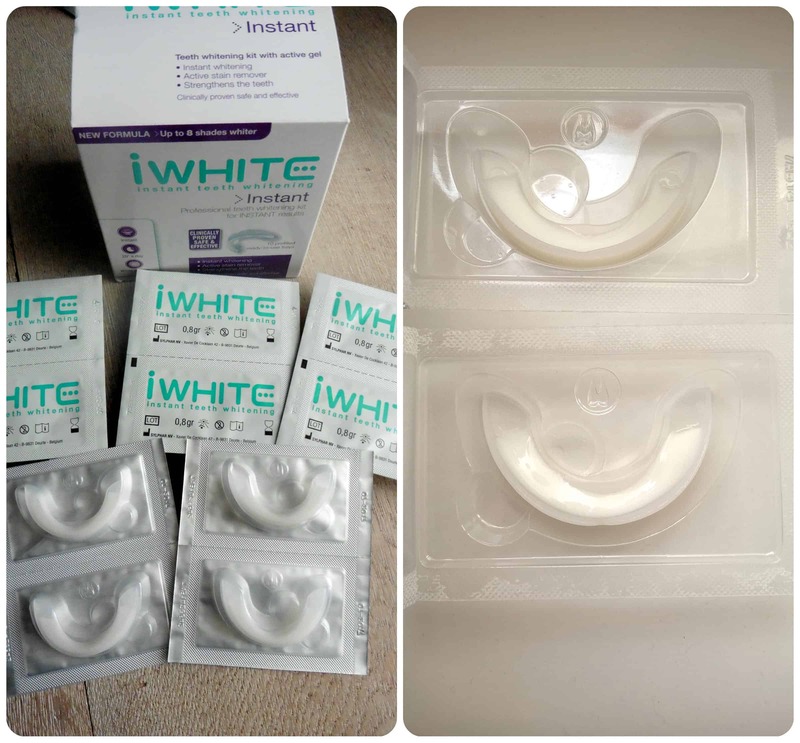 iWhite 2 Instant Teeth Whitening 2 is a simple to use home kit that gently whitens your teeth over five days. 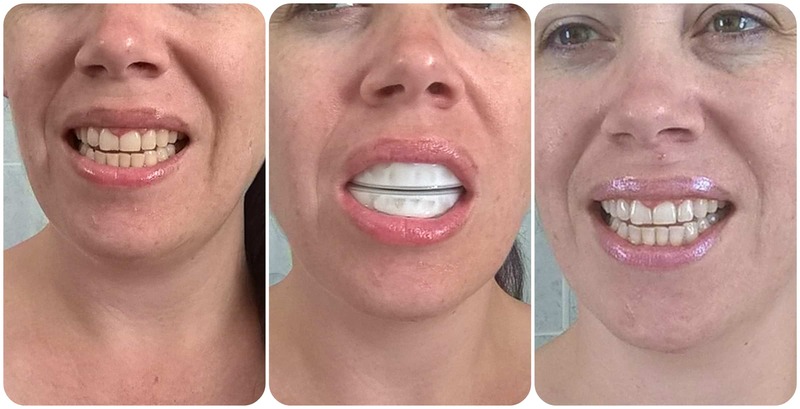 With ten prefilled trays included, that need to be worn for 20 minutes each day, you can’t go wrong, but you can really make a difference to your teeth. To use, you simply peel open the foil cover which reveals two filled trays, simply put one on your top row of teeth and one on the bottom. Then wait 20 minutes, you can’t talk during this time so I found it best to do in the evening when the kids were in bed. Once the time is up simply remove and discard the trays, and rinse your teeth around to remove any excess residue. Then check out the results to see if there’s a difference. I think it’s quite hard to tell the difference between the pictures below as they were taken in different lights a week apart, but I can confirm they are definitely whiter, they look a lot clearer and brighter and I’m very happy with the results. It’s really is a very simple to use and the results are effective so it is something that I’d use again if my teeth needed it. My husband noticed the difference in my teeth straightaway so that I believe is a sure sign that it worked! All reviews are my own and my family’s opinions and I received the iWhiten set in order to write the review. 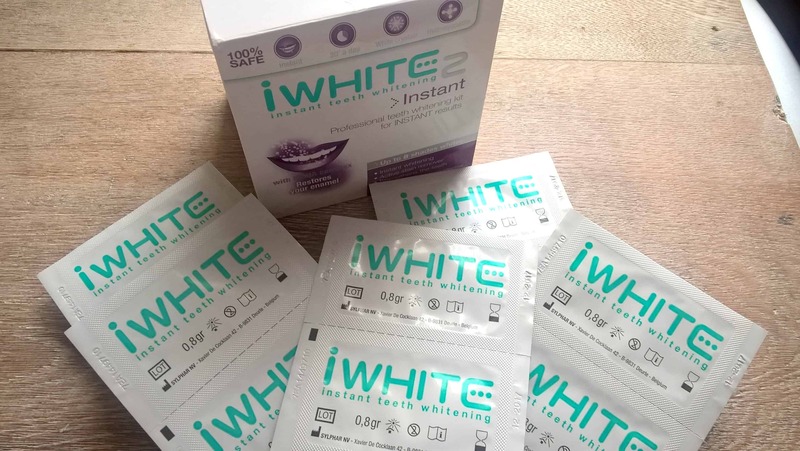 iWhite Instant is a home teeth whitening treatment that gives instant results. I have to say my immediate thoughts are a little sceptical as to will it work, but I was eager to give it a try. With five sets of trays to be used over five days, the kit looked simple to use but would it be worth it? Each set of trays contains a tray for the top and bottom set of teeth. You simply peel of the foil lid and place in your mouth. Then leave for 20 minutes before removing and rinsing any excess gel off of the teeth. I found this really simple to do and best done in the evening when the children were in bed. The first day I used this I wasn’t expected to notice any change at all, but was rather pleasantly surprised. My teeth were visibly whiter, better than they have looked in ages, not that they were ever really yellow, but clearly a few shades whiter than normal. Being so impressed with the initial results I showed the husband who immediately agreed with me, he could see a difference too!! I was very pleased and couldn’t wait to get to day 5. As you can see my teeth are noticeably a few shades whiter which I am really happy with. The product is easy to use, only takes 20 minutes a day with no effort required and definitely gives results, a great way to pep up your teeth before a big event or suchlike. 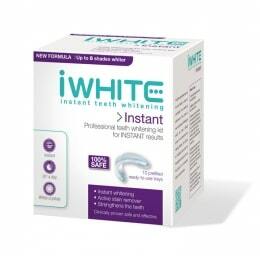 I think iWhite Instant does what it says on the box and would recommend!